As councils set their 2011-12 budgets this month, many are responding to government cuts by squeezing adult social care service users and providers alike. Plans are afoot to raise eligibility thresholds and charges for users, and to freeze or cut fees for providers. However, three providers from different sectors have now teamed up to offer councils an alternative, which they claim will improve user outcomes and save money. The proposal from the partnership of housing repair and domiciliary care provider the Mears Group, telecare body Tunstall and housing adaptations organisation AKW Medicare is based on a critique of commissioning practice. Councils currently commission all these services separately, which, the partnership argues, is inefficient and leaves service users facing multiple visits and worse outcomes. Given rising demand and falling resources, councils cannot afford to continue in this vein, the providers say, and need to ­commission integrated services that are focused on improved outcomes, paying providers by results. The partners, which are also backed by Foundations, the umbrella body for home improvement agencies, are offering councils a way in which they can commission all their services through one route, with contracts focused on outcomes. Senior care staff from Mears would be trained in assessing and reviewing service users’ needs for home care, adaptations and telecare. And Mears would purchase telecare for its council-funded home care clients, on the proviso that it would gain a share of any savings to the public purse by preventing hospital or residential care admissions. The providers are now lobbying commissioners and politicians, and are hoping to influence this year’s adult social care White Paper. Their message is robust. The savings to councils from telecare and adaptations are well documented. North Yorkshire Council, which invests significantly in telecare, has identified that it has cut average annual care costs for service users by 38%, or £3,650 a person, by delaying or reducing admissions to residential care or use of domiciliary care. A 2007 report for the government’s Office for Disability Issues found that adaptations paid for themselves in reduced care costs within a period ranging from a few months to three years, and then released annual savings. This, he says, is why Mears is willing to take the “risk” of paying for telecare itself for its home care clients in any local authority that commissions the providers’ integrated package. Reactions from the sector to the proposals have been positive, though with caveats. “It’s a clever idea – we are going to be seeing councils asking for reductions in price or other cost-saving measures and what these providers have done is find a way in which everyone can win,” says Colin Angel, head of policy and communication at the United Kingdom Homecare Association. However, he warns that this would not be an option open to smaller providers. Mears is a relatively large domiciliary care provider, as well as the largest provider of housing repairs for social landlords; Tunstall is the country’s biggest provider of telecare; and AKW is the leading provider of kitchen and bathroom adaptations. Angel also warns that commissioning home care on the basis of outcomes, rather than inputs, such as hours of care, is not easy. This is echoed by John Bolton, who was until last year the Department of Health’s strategic director for social care finance. He says the ideas put forward by the partnership are not new and were discussed by the DH during his time there. He is generally supportive of the idea as a way to reduce costs and says it is particularly applicable to preventive interventions designed to stop people needing ongoing care. Sarah Pickup, the honorary secretary of the Association of Directors of Adult Social Services, rejects the idea that the proposed approach is not being practised by commissioners. She cites a reablement service launched last year by her own council, Hertfordshire. This combines outcomes-focused commissioning from a provider, Goldsborough Home Care, with an expectation that any need for adaptations or telecare is also identified by the provider. 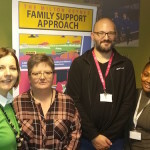 Pickup also points out that, under ­personal budgets, councils take account of the full range of service users’ needs ­during the support planning process, allowing integrated commissioning at the individual level. She welcomes the contribution from Mears, AKW and Tunstall. “The market needs to be thinking about what it can offer us,” she says. Situation: Mrs Jones is in hospital for a hip replacement and wants to come home but needs a combination of adaptations, telecare and home care to do so. Single assessment: Providers offer a joint assessment of her needs, which identifies that she is unable to use the stairs to reach her bedroom or bathroom, or use the toilet or get out of bed without assistance. Outcome-focused commissioning: Providers agree with the council that Mrs Jones should be able to return to get to her bedroom, maintain personal hygiene herself, manage daily living tasks and be able to get out to meet friends, within eight weeks. Integrated provision: Adaptations, telecare and home care work are integrated to maximise outcomes. Mrs Jones’s bed is brought downstairs, while she receives support to improve her mobility from home care staff and an occupational therapist. Meanwhile, additional handrails are fitted to the stairs and upstairs bathroom. She is also given an alarm pendant to alert staff to falls or other safety issues. When she can climb the stairs her bed is moved back up. Payment by results: Providers are paid if outcomes for Mrs Jones are achieved within the eight weeks.